It's kind of taken for granted that our main sources of information about the Holocaust relate the true facts. What if they don't? This was the scenario that played out on Reddit in January 2014. It's a site which prides itself upon its Freedom of Speech policies. Subreddits are created and maintained by its users, hundreds of thousands of them covering every conceivable topic. Discussions are community driven and represent opinions across the board. But r/Holocaust wasn't like that at all. Moderated by Redditors with a history of antisemitic posts, it was being gleefully used to deny the Holocaust itself. 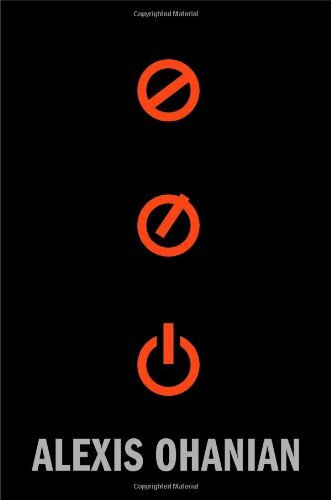 All dissenting views were deleted. Blocked out of the discussions, activists on Reddit used the system itself to fight back. In January 2014, a major clash of ideologies took place on Reddit. It was a battle to control sources of information, which was made all the more urgent by its timing. As Holocaust Memorial Day approached, the denizens of r/badhistory began to realize a shocking truth. Deniers of the Holocaust had patiently and stealthily taken over r/holocaust. The same people had r/Shoah too. Reddit frequently bills itself as 'the front page of the internet'. It's one of the biggest forums and repositories of information on the world wide web today. Topics are organized into subreddits, where people meet to share links, personal stories and opinions. Thousands participate in discussions surrounding the hottest subjects of the day. On January 27th 2014, the 69th anniversary of the liberation of Auschwitz was commemorated in international events. Articles, lectures, interviews with survivors, documentaries on the television, special mentions in schools and gatherings at the sites of the concentration camps were designed to raise awareness. For the millions of Redditors, a piquing of interest would engender the natural response of checking out a subreddit about it. The obvious search term is 'Holocaust' or 'Shoah'. Their burgeoning awareness would deliver them smack bang into the midst of Holocaust deniers. The neo-Nazi moderators of r/Holocaust had played a long game. They didn't create the subreddit, but slowly gained ownership over time. All it took was for its creator to be away for two months or more, and any other user could ask to run the board. Now most of its links pointed towards pseudo-histories and opinionated pieces about how the Holocaust never happened, and there's a Zionist conspiracy to account for why so many think it did. Yet the subreddit (then) was open to general traffic too. Individuals innocently posting sources that spelled out the true facts were publicly derided, forum shadow-banned or simply had their links taken down. Those which remained found themselves beset by comments carefully explaining why their information was wrong. r/Holocaust constituted a virtual torrent of misinformation, and overwhelming attempts to recruit acolytes to question and/or deny that any genocides had taken place. I was told this week that Michael Shermer is an active Redditor! In order to confront bad history about the Holocaust, you first need a platform from which to speak. This was a problem on Reddit. Horrified members of r/badhistory began to spread the word, prompting a flurry of messages to the Reddit administration protesting the takeover. But to no avail. The silence from Reddit's owners was deafening. r/Holocaust remained in neo-Nazi hands. Faced with no official assistance, ordinary Redditors began to get organized in r/badhistory. They wanted to confront the Holocaust deniers head on, banding together to leave no bad history unanswered at the source. All misinformation would be met with clear evidence to the contrary. But that too was doomed to failure. It was no good simply going into the relevant subreddits and arguing each point. Moderators have the ability to simply delete such counter-points, and ban users from their forum. That's precisely what those in charge of r/Holocaust did. With no way now of challenging the views of Nazi apologists, in Reddit's primary repository of Holocaust education, it would have been easy to admit defeat. Outraged Redditors could have ineffectively ranted in other subreddits, with like-minded people tutting that it was indeed terrible, but all agreeing that they'd done all that they could. But they didn't. They provided alternative sources of information with probably Reddit's biggest ever explosion of new forums opening on a single topic. 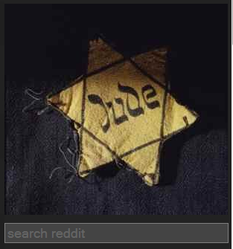 Overnight, dozens of Holocaust related subreddits were created, utilizing every keyword that the activists could conceive. Moreover, they put in claims for extant subreddits, wherein the moderators had been inactive for some time. Many of those were known Holocaust deniers, who discovered the initiative only when they were asked to defend their tenancy during a takeover bid. The loss risked not because of their views, but their long-term absence. Reddit runs on activity, regardless of its nature, and this was the chink in the armor which Holocaust truth activists exploited to the utmost. In this way coups were staged, and real historical information about the Holocaust began to be disseminated again. Reddit co-founder Alexis Ohanian reveals his vision of the internet. There are many, many Holocaust subreddits that are in the safe-keeping of real historians and/or those who care to defend it. Some forums have been taken solely to stop apologists getting their cyber hands on them, now or in the future. But not all of these subreddits are currently active (mostly because they're only a day or two old at the time of writing!). More will be added here if, or when, they become open sources of information about the Holocaust on Reddit. The uproar over ownership of r/Holocaust is not the first time that Redditors have sought to oust white supremacists via subverted subreddits. Stormfront is a white supremacist group, based mainly in the USA, but with branches stretching out across the world. It began life as an internet bulletin board, set up in 1990 as the hub of operations for a former KKK leader turned political hopeful. David Duke didn't make it as US Senator on that occasion, nor did he succeed in his bid to become Governor of Louisiana during the following year. Though he was elected to the House of Representatives for the same state, serving from 1990-1992. Over time, Stormfront grew beyond merely being Duke's grass roots cyber support group. Using the motto White Pride World Wide, it boasts ever increasing numbers pushing far right ideologies on and off line. Until mid-2013, it also had a thriving subreddit named, appropriately enough, r/stormfront. But the moderators were careless enough to be inactive on their own forum. The community was blithely posting away, but that counted for nothing when an ownership claim was quietly submitted. r/stormfront still exists and it is still busy. But not quite with the subject matter for which it was founded. How do we cope when freedom of speech allows something really hateful? With their God Hates Fags funeral picketing, WBC forces a debate on the issue. Meanwhile, the activists of r/badhistory hadn't given up on returning r/Holocaust to moderators who would curate the true facts. On February 3rd 2014, William Allington - a Redditor from Sydney, Australia - launched a petition directed at the Reddit administration team. It ran under the heading, 'Remove the mods of /r/holocaust and related communities on grounds of promoting fringe Holocaust Denial, racism and squatting on domains to stifle activity and discussion,' and included a lengthy letter further articulating the objections. It was a plea which acknowledged the difficult line that Reddit's owners have to tread, and the dilemma inherent in safe-guarding such sensitive subjects, while also allowing all viewpoints to be heard. But moreover it signaled a sea-change in the activism of the Redditors involved. Petitions like this would garner publicity about the issue in the wider world. All in-house avenues for protest on Reddit had been exhausted. This was designed to bring external pressure to bear. This isn't something which came out of the blue. White supremacist movements have been denying that the Holoaust took place for years. Why people think like this? Perhaps my trouble is that I am actually trying to understand something that simply cannot be understood. Thanks for reading Jo. The trouble with some is that they see the world just like us, but want to rewrite history to something more akin to their own doctrines of hatred. Just about everything in life - history especially - involves some kind of fitting together of jigsaw pieces. I'm right behind your theory there. That's something that I did not know, Jo. Useful information indeed! The science that you cite takes me to the coherence theory of truth: the theory that truth is confirmed by the fitting together of evidence to create a picture of what occurs or has happened, rather like a jigsaw puzzle. Clearly, the science you cite supports the historical testimony. The "jigsaw fits together. Frank - While you're technically correct, the rise of Holocaust Deniers has brought scientists into the fray too. People like Professor Jan Markiewicz, Director of the Institute of Forensic Research in Kraków, have been into the gas chambers running tests. The chemical analysis concluded evidence that Zyklon B was used in quantities enough to kill humans. Sara - Hello, you're new! Welcome to Wizzley, though I do warn you that I'm a qualified historian myself - who has focused upon the Holocaust quite extensively - and therefore not the ideal person at which to throw pseudo histories. Just in case you have quite innocently stumbled upon that site, the Institute for Historical Review (IHR) is a far right site. It's filled with essays that are meant to appear quite scholarly, but contain arguments that can be demolished within seconds. Going there is a little like consulting the NAACP for a history of General Robert E. Lee, or CNN to form an opinion about the Democrats. The bias is obvious. 'Orthodox Holocaust Historians' have not denied the gas chambers. Even the Jacques Baynac statements quoted are discussing methodology not absolute fact. Oral testimonies are notoriously fallible, but often they are all we've got. They're permissible in a court of law, for example. As I read Monsieur Baynac's quotation, I interpreted it as saying we need more collaborative evidence for the eye-witness reports. He was writing in 1996. We have SO much more than that now. There is a difference between proof and justification. Proof gives certainty and is required for knowledge, while justification gives belief, and can be overwhelming. Proof is possible mainly in Mathematics and Logic, but subjects like history can only reach justification. so technically there is no proof of the gas chambers, but there is overwhelming justification. Airey Neave, who inspected German documents for the Nuremburg trials, found letters from firms bidding to produce gas chambers and proclaiming their killing power. Why would the Nazis have ordered gas chambers if they did not want to kill people in them? You will find this detail in his book, Nuremburg. There is also the brutal truth that witnesses will confirm that live Jews went into the chambers and bodies came out. The precise manner of the murder is secondary to the fact of it. 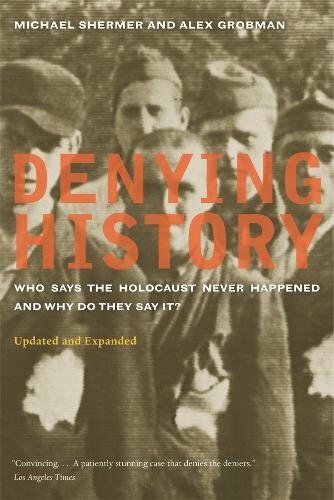 Orthodox Holocaust Historians have admitted (thanks to the research produced by so called "holocaust deniers") since 1996 that there is no proof for Nazi Gas Chambers.